Bored of Avo Toast? 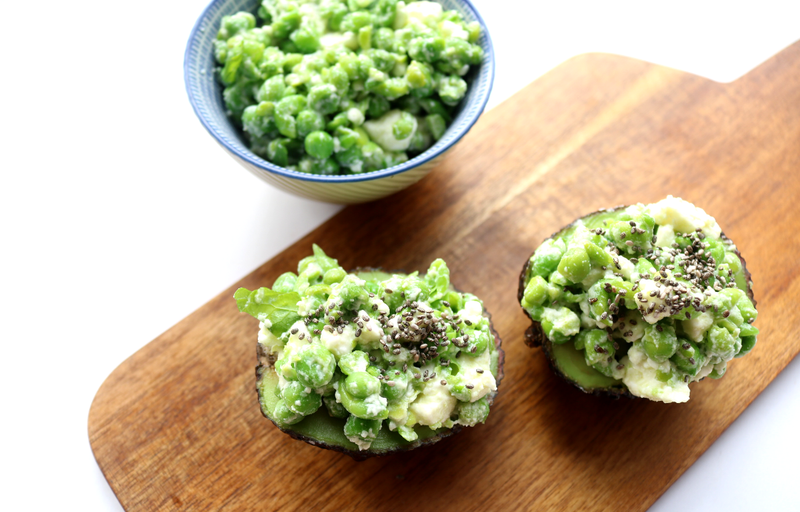 Try something different with your avocados this weekend, like these Loaded Avocado Boats that can be served as a starter or a side (or even as a cheeky afternoon snack if you're feeling particularly peckish!). I was recently gifted a bunch of healthy eating cookbooks by a friend who is moving abroad next month, and amongst them was a copy of The Naked Diet by Tess Ward which had this interesting little recipe in it. I have adapted it and made it simpler though, as the original version has the peas as more of a purée which I wasn't so keen on when I made it. Instead, I've lightly 'smashed' the peas which gives them a chunkier texture that makes this side or starter feel more substantial to eat. Cook the Peas and place into a bowl. Add the Garlic, Feta, Lime Juice, Mint and Olive Oil, and lightly 'smash' everything together with a fork. Slice the Avocados in half, remove the stones and score a few criss-crosses into the flesh. Arrange onto plates and pile on the smashed mixture. Add a sprinkle of Black Pepper and Chia Seeds to finish it off. Enjoy! 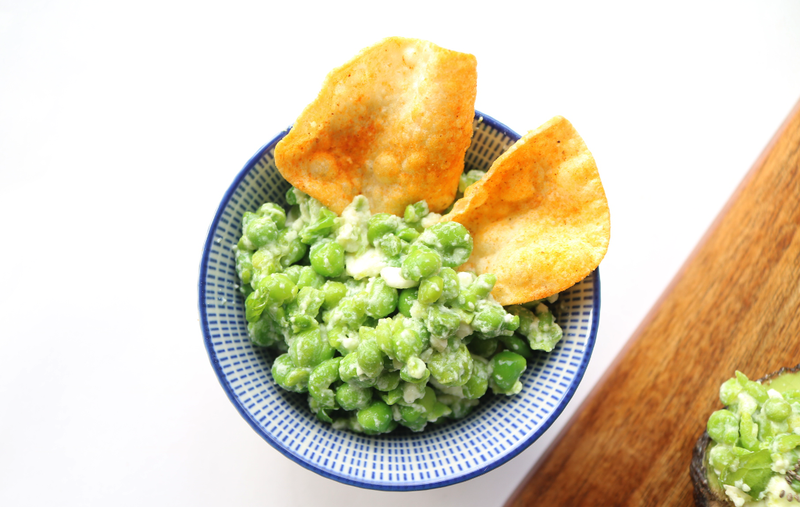 The smashed Pea mixture makes a super tasty 'dip' that you can enjoy with crackers or scoopable crisps/mini poppadoms, and will keep in the fridge for 2 days. Great for parties! If catering for vegans, simply skip the cheese or use a vegan-friendly alternative. Easy! 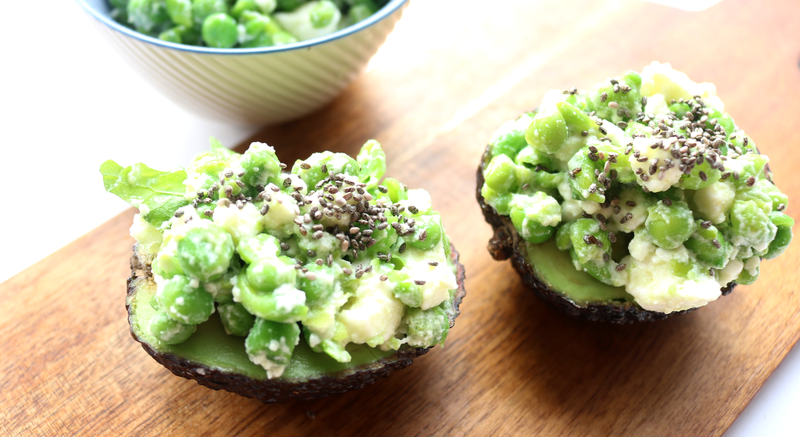 What's your favourite way to eat Avocados?